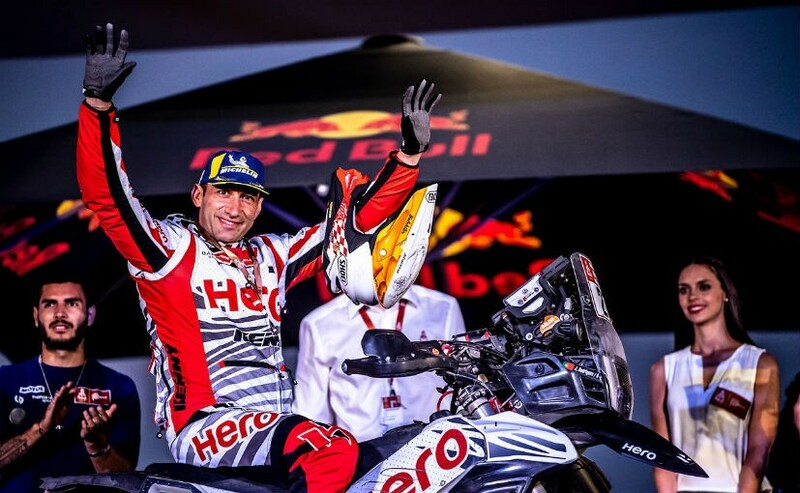 In his third attempt at the world's most challenging rally, Sherco TVS Factory rider Aravind KP has completed the 2019 Dakar Rally in traversing 5000 km in Peru, South America, and becoming the only second Indian rider to do so. Sherco TVS Factory Team's Aravind KP has become the only Indian rider to complete the 2019 Dakar Rally. The 10 day long rally finally came to its conclusion earlier today with the riders traversing 5000 km of treacherous terrains, sand dunes, rocks and fesh-fesh in Peru, South America. Aravind is not just the only Indian rider to complete the rally this year, but the only second ever to do so after CS Santosh. The latter, who was competing with Hero MotoSports Team Rally crashed out of Dakar in Stage 5. Aravind KP stands at an impressive 31st position (provisional classification) in his third attempt at Dakar, having crashed out in the previous attempts. The rider finished Stage 10 in 37th place, climbing back from 55th in Stage 9. Aravind finished in 70th place on Day 1, and slowly and consistently ensured to climb the rankings with every stage. The rider even managed to overcome several major and minor crashes, bad weather conditions, mechanical issues and a lot more over the 5000 km ride from Lima, the capital of Peru to Arequipa and back. Sherco TVS rider Adrien Metge managed to complete the final stage in 13th place and stands 22nd in the general classification, bringing in an impressive finish for the team. Michael Metge, on the other hand, finished Stage 10 in 75th place, but stands at 25th position in overall rankings. 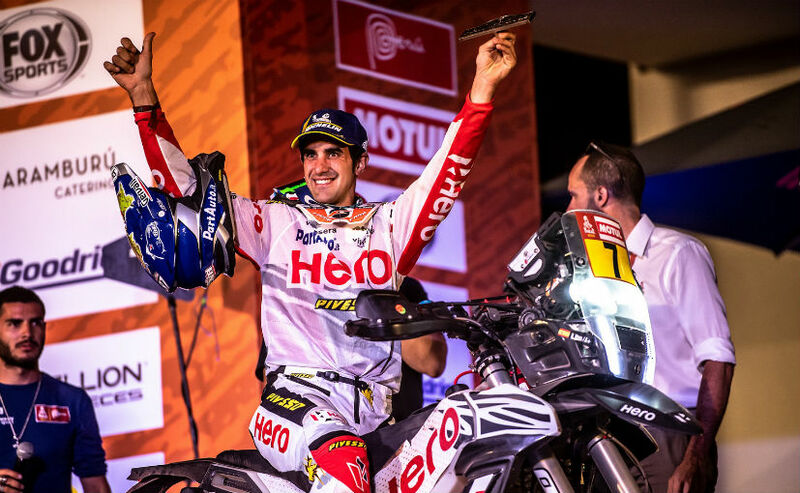 It was Hero MotoSports Team Rally rider Oriol Mena that secured the best-ever result for the Indian team. 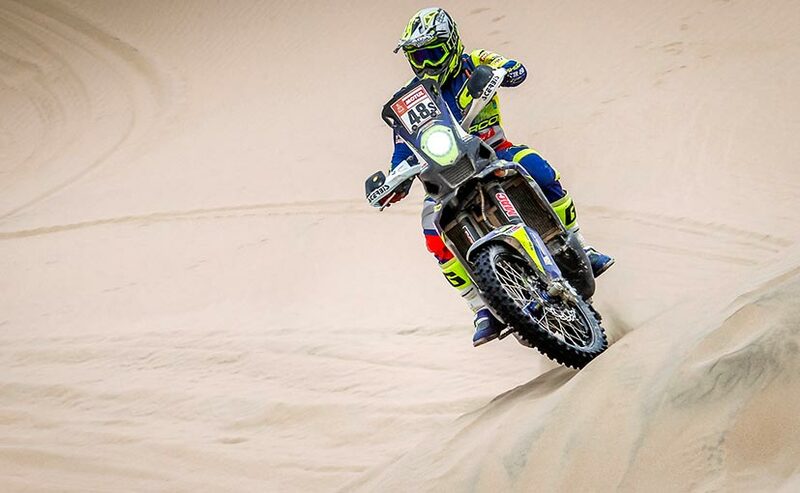 The rider finished 9th in the overall standings of Dakar 2019, while Stage 10 saw him finish in 12th place. Mena, has been one of the most consistently performing racers this season and certainly brought a lot more maturity and skill onboard his Hero RR 450, in his second-ever outing at Dakar. The rider only climbs higher from the 7th position finish in his rookie year in 2018. Oriol Mena said, "What a Dakar this has been. Lots of ups and downs, even the very last stage was quite tough. I am very happy with my performance overall and happy to bring in another Dakar for Hero MotoSports Team Rally. I think it was a better Dakar for me this time as we went through some amazing stages and terrains. I'm really happy that I could finish in the top 10 again. The Team and my bike have supported me throughout and I want to thank all of them from my heart." For teammate Joaquim Rodrigues, the 2019 Dakar Rally was a life-changing decision, having survived a nasty crash from last year. The rider finished 17th in the overall standings, after completing the final stage in 17th place. Rodrigues said, "This is an emotional moment for me. I wanted to come here and finish, something I could not do last year. I started this Dakar and finished it at the same special where I crashed last year. Isn't that something! I am so relieved to finish this time and win this battle. I want to thank my Team as they always stayed behind me, even when I was at my lowest and there were chances that I may be resigned to a wheelchair. Now I will go home and get surgery done on my back and then start my recovery again to get into the shape where I was before the crash. It's a long process but I am very motivated now to get through this for my family, my team and my supporters." With CS Santosh's exit from Dakar this year, the Hero boys have certainly done proud.